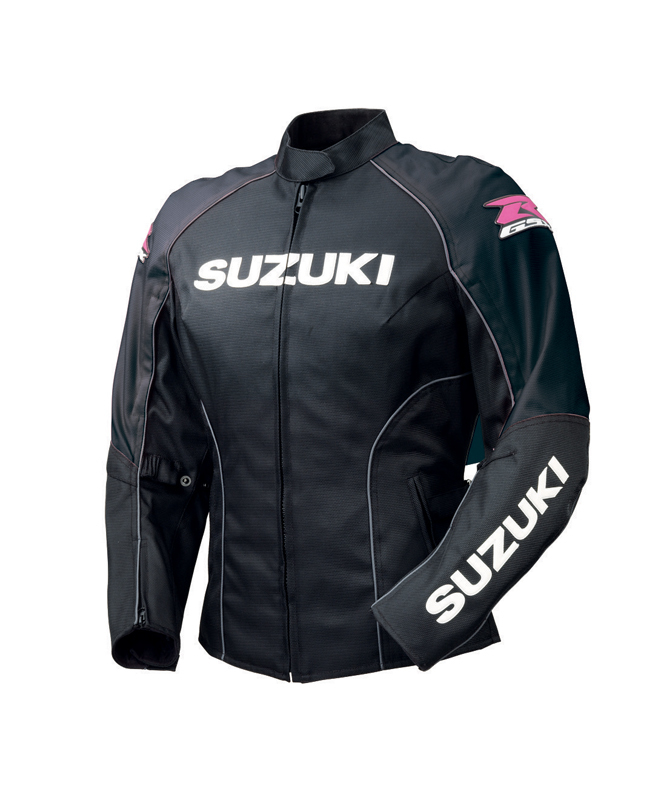 The Women's Textile Jacket features a wind and water resistant HiTena nylon shell with C.E. rated protectors in shoulders and elbows and a removable spine pad. 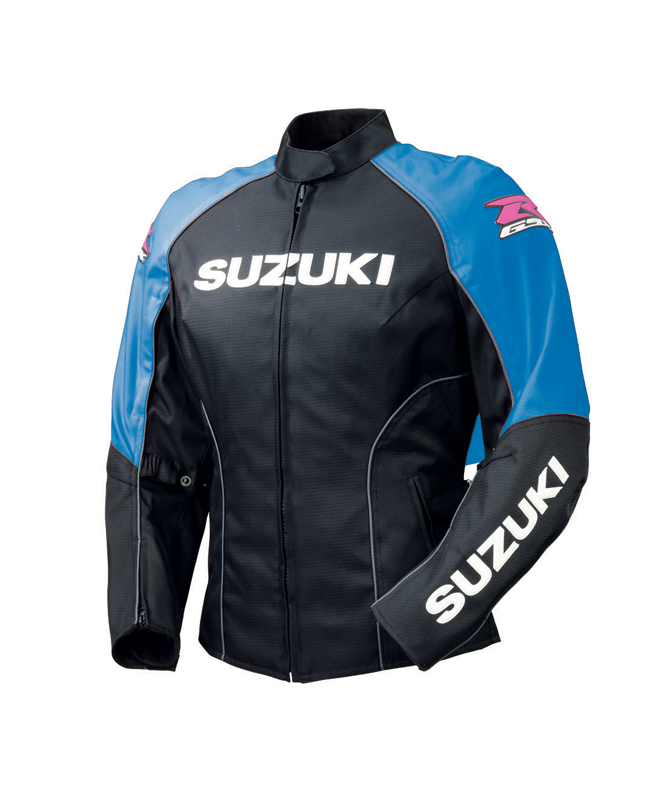 The removable insulated vest liner complements the Variable Flow™ ventilation system. Sure Fit™ adjustable waistband and snap loops for attaching the jacket to a belt allow for the best fit. 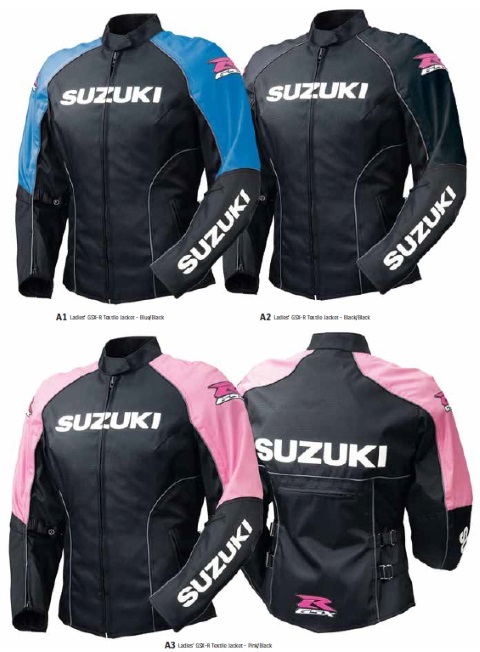 Reflective striping is built in for added visibility while riding.NOTE: All Suzuki riding jackets are limited in production each year, supplies are subject to availability. **See exchange policy for size exchanges. Pink version sold out,"R" logo's Red.